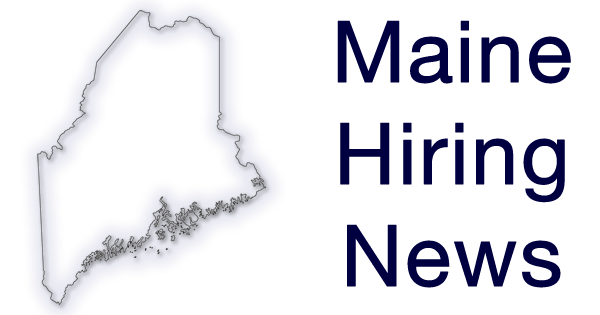 There are many different companies hiring in the state of Maine due to certain reasons. The Portsmouth Naval Shipyard in both Kittery and Portsmouth Maine, are hiring due to a period of intense job growth, this came from the billions of dollars from long term federal contracts to benefit nuclear-powered submarines. The location in Kittery, Maine, plans to have over 700 positions available. This need for more employees is to keep up with the predicted workload for inspecting submarines, as well as replacing the 200 expected openings from retirees or people who have left for other opportunities. Other well known stores/companies that are hiring in Maine are LL Bean, the Dollar Tree, Home Depot, and Goodwill. Each of these companies are hiring due to an increase in demand of their product, or the opening of new stores. LL Bean in Lewiston, Maine, plans to have about 100 positions open, and all Home Depot locations around Maine plan to have about 400 open positions combined. Last year, a manufacturing company, Mega Industries, received $12 Million in revenue, which came from new contracts with national laboratories around the world. Apparently for the next three to five years, their sales are predicted to continue at the same speed. Therefore, they will be hiring. This company has recently been gaining employees, and plans to add another 12. Another manufacturing company planning to expand, is Gifford’s Ice Cream. With the predicted expansion, they desire to hire new employees and add on to their factory. Safelight Auto Glass, located in Portland, Maine, recently opened in October, and plans to hire around 30 people. Dennis Paper, a food distributor based in Hampden, plans to have a large expansion to their factory, leading them to hire around 75 people over the next five years. An online retailer company, Wayfair, plans to add contact centers in Brunswick and Bangor, Maine, and plan to add around 500 employees at each location. The employees in Bangor will answer calls from different customers, while Brunswick plans to form a sales team in which they take care of customers as well as interior designers, as they could be in search for product for the home products offered on their website. A technology company, Collaborative Consulting, located in Burlington, Massachusetts, is planning to open a new location in Waterville, Maine, with the opening of about 200 jobs within the next three to five years. The company’s mission is to administer data supply to several different audiences such as life science industries, government, and health and educational institutions.